The silence coming in Washington, London and Brussels has left Canada isolated in the West. For diplomatic sources, a "new red line" has been drawn in relations with the Saudis. Analysts and experts note that now criticism means loss of business. Behind the iron fist is Mohammed bin Salman’s "thirst for power" with Trump's approval. 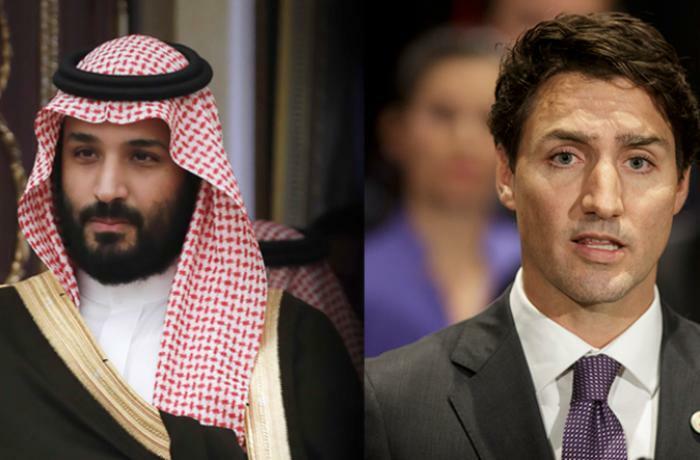 Riyadh (AsiaNews) – The diplomatic row between Canada and Saudi Arabia is what Western officials call the “new red line" in relations with Riyadh, one of the world's leading oil producers. The need to protect billions of dollars in business and contracts with Saudi Arabia has led Western capitals, from Washington to London, via Brussels, to remain silent when it comes to the human rights of ordinary Saudi nationals and activists. Despite the hoopla over the kingdom’s reforms that mainstream media have dutifully reported, repression in Saudi Arabia has intensified lately. The issue came to a critical point in August when Saudi Arabia decided to freeze investments and trade relations with Canada and expel its ambassador, jeopardising an existing military contract worth billions, that could, if cancelled, have negative repercussions for 2,500 families in Ontario, Canada. The reason for Riyadh’s action is Canadian government criticism of Saudi human rights violations. The row with Ottawa erupted after an Arabic language tweet by the Canadian Embassy in Riyadh called for the "immediate release" of activists jailed in the kingdom. As a result of this tweet, the embassy's Twitter account saw its following jump from a few hundred to more than 12,000. For the Saudis, this was an attempt to "communicate directly" with Saudi people. As a Western diplomatic source stressed, "using the megaphone" to criticise the lack of respect for human rights is not the best solution. On the other hand, there are no clear channels of engagement in Riyadh and past complaints have fallen on deaf ears. Riyadh's furious reaction – centred on trade relations – sent a chill down many a Western government’s spine, generating fear that they too might be subject to similar reprisals in case of criticism. This explains why, after years of tensions under former President Obama, Washington decided to remain silent and effectively isolate Ottawa. At the same time, the arrival of Donald Trump in the White House has led to renewed close relations through personal ties with Saudi Arabia’s Crown Prince Mohammed bin Salman. At the start of the crisis, the European Union had planned to release a public statement effectively backing Ottawa's position on human rights, but the plan was dropped after European and EU ambassadors instead delivered a "demarche" – a formal diplomatic note – in a private meeting with Saudi Foreign Minister Adel al-Jubeir. "Western countries will very much be wary of openly criticising Saudi domestic policy," said Bessma Momani, a professor at Canada's University of Waterloo. "The Canadian case has proved that lots of business deals could be lost if criticism of Saudi Arabia upsets its rulers." For some analysts, Western silence is deafening and shows how Saudi Arabia is increasingly using its economic muscle to quell foreign criticism. "It's pretty clear that [Saudi Crown Prince Mohammed bin Salman] is using Canada to send a message to the rest of the world that if you want to trade with Saudi Arabia, then you need to shut up on human rights," noted Nader Hashemi, director of the University of Denver's Center for Middle East Studies at the Josef Korbel School of International Studies. For Hashemi, the root cause of the diplomatic crisis with Canada is the crown prince himself. Commonly referred to as MBS, he "is drunk on power”, convinced that with Trump’s support he “can do whatever he wants", Hashemi told Al Jazeera. 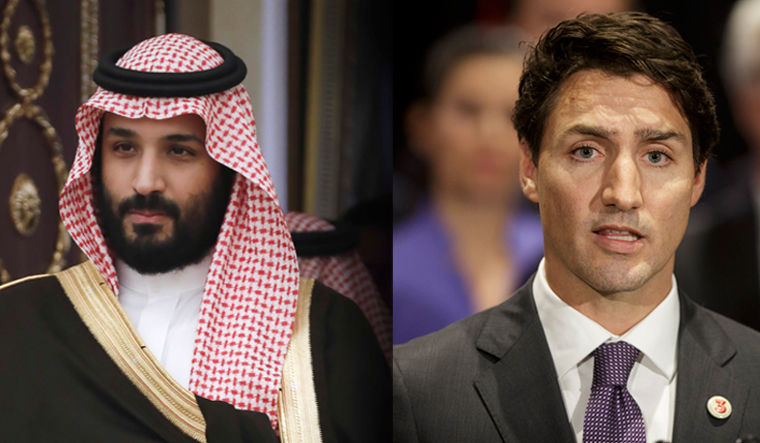 The Saudi message boils down to a simple rule, “criticise us at your peril,” said Thomas Juneau, a University of Ottawa professor with expertise in Canadian foreign policy and the Middle East.